Size and shape are just right. There are various manufacturers of this type, but the products of As One are generally good in quality. This review is about item#10070295. We purchased in July 2016 and used indoors. I noticed that the upper lid had a crack in October 2018. The air leaked and became unusable. Deterioration is too early. This review is about item#10070286. This is one option to refuel thin holes. Although it is not durable, it is convinced by price consideration. Probably I will repeat all the time. It seems to be in good shape on feeling that I tried but did not receive the essential oil. We will review again if we make a mistake in implementation. This review is about item#10070313. It is OK to reach the place where the crane head is long and narrow. It is a feeling that the hand reaches exactly itchy places. It was good to be found with a length that is not on other sites. Water supply to a tank etc. I think that it can be used for watering in aquariums, watering for planting trees, other things, and the price is also cheap. I wash parts and put some water to wash the parts. In addition to temperature and humidity calibration, use it with fountain solution etc. I like it because it is also hard to deteriorate. Compared with other companies it got degraded and water leaks etc. are early but this product is still not leaking water. I also want to purchase. This review is about item#10070304. When subdividing it, it was good to be injected and it was good to be used very well. Purchased for water exchange of fish fish bowl of Medaka. Was it a bit small? I am satisfied with the performance. 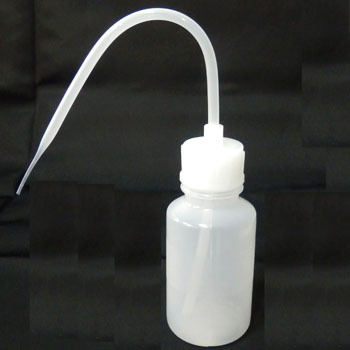 The bottle is supple and easy to use. The tip of the pipe is fine and it is possible to subtle water subtly. I thought that it was easy to do because the point was sharp, but after all it entered the air did not go well. I think that there is no choice because its usage is different. I used it for lubricating details because the mouth ends well in small places, and it is useful. In the steel plate drilling work, it is possible to precisely adjust the amount of cutting oil to the desired location, and the tip of the nozzle that can produce the desired amount is as close to the needle hole, so adjustment of the liquid amount is very useful because it can be freely adjusted by the grasping strength. I like the fact that there is no unnecessary discharge by the outside air temperature by adjusting the nozzle up and down. I really recommend this usage. Because the body is so soft it is hard to get tired. However, because the diameter of the nozzle screw is small, water injection may be difficult. It depends on the environment. I used it to extract the old fluid and to replenish the new fluid. It was easy to work because the nozzle was slender. It is convenient to have one. It is cheap and durable, it is also nice to say as one. As the grip part is treated with satin finish, it is OK to slip hard. There is no leakage from the tube and cap part at present.